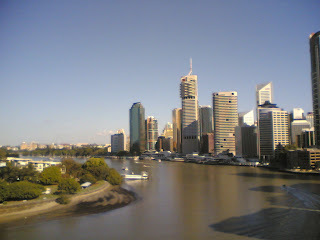 I took a couple of photos during our walk through Brisbane last weekend. 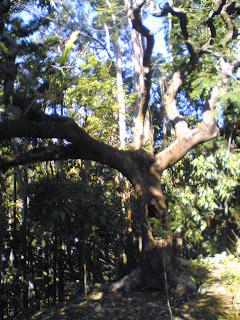 It started out not far from QUT, in the Botanical Gardens. This is a great one. Has an eerie, cold morning dew feel to it. Almost looks as though we are lost in a magical forest and the tree branches are beckoning the traveller forward to his doom. Aaaaaagh!!!! The one below reminds me of the kitschy special effects in some 70s Arabian adventure movie. Beware the play-do crawling branches that awake in the middle of the night!!! 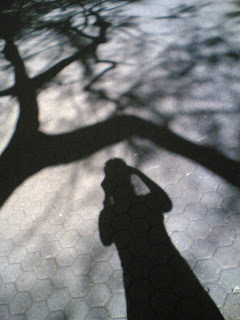 Here is a photo of a peculiar but ordinary looking tree which I quite like. Don't ask me for the Botanical name. I never took high school Biology due to my deep dread for the famed insect collection assignment. You won't find me pinning arachnids and insects to some foam board, on any day. And it's not because I care for the evil little things. 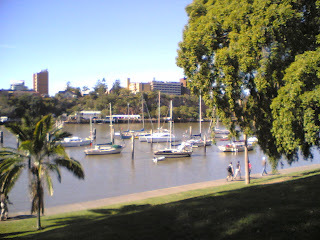 After walking to the end of the Botanical Gardens we took the path skirting the river further to reach Eagle Pier. What I love about Eagle Pier is the crimson bougainvilleas and the expensive boats. I also think that Boardwalk restaurant is the closest thing to Brisbane's version of the Champs Elysees. You know how people all along the Champs Elysees sit so as to be seen? That is, they sit on their rotund chairs with their bodies pointed away from their table and eat their baguettes while ogling the pedestrians? That's pretty much the idea on the Boardwalk restaurant, except the diners are staring at the river. I admit that the Storey Bridge views are gorgeous. The Eagle Pier river walk is actually the beginning of a long walk that can take you right up to Newfarm via a moving/floating bridge. Scary stuff! Second is a large bakery stand which I think is Chinese owned but I'm not sure. It sells delicious croissants, danishes, filo pastry snacks, cheese twists, buns and breads. The bakery prices are very reasonable and their products are fresh and much better quality than some of the bakery products littering South Bank. Sorry, but someone had to say it!! 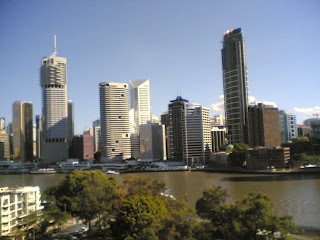 After having a delicious breakfast and admiring the Storey Bridge views, we doubled back to the Gardens, then across the spiky Goodwill Bridge to South Bank, took a left turn and headed up towards the Kangaroo Point Cliffs. 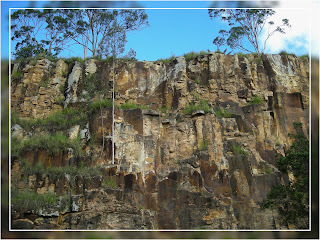 For more information on the rock climbing (and walking) activities available in Brisbane check out the amazing Urban Crag website. After walking past the Kangaroo Point cliffs, we reached the RiverLife adventure center where fun seeking visitors can do anything from rent kayaks/bikes, learn rockclimbing/rollerblading to take part in a mini river safari. 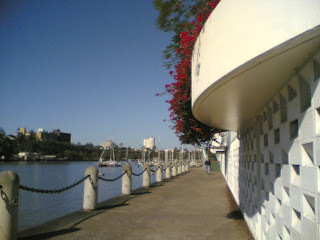 So anyway, further along the river and across from the Brisbane ferry stop, we ended up climbing up the short flight of steps and heading towards the long ogled Storey Bridge. This magnificent engineering relic only serves to remind us that QLD's infrastructure gets shoddier every day. Good news it that you can now climb the bridge (much like the Sydney Harbour Bridge) or you can inhale Brisbane's ever increasing polluting particles (which never rest, even on a Sunday!) 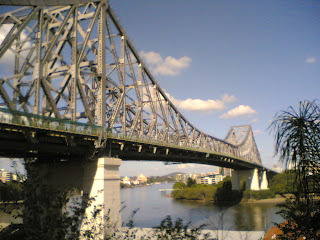 and walk bravely across the bridge until you reach the Brisbane CBD. Watch out for whistlers and car honks! All in good fun. 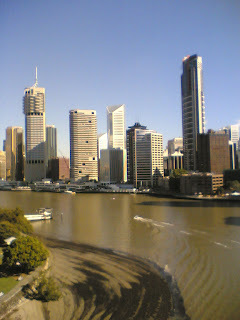 Brisbane City views from the top of Storey Bridge. For nicer photos, check out my Facebook album. 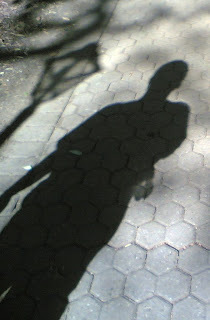 This is a photographic shoot through Brisbane's Botanical Gardens. 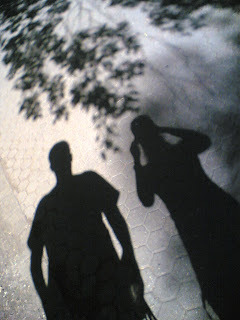 Taken in mid 2008. China Olympics: Let the Games Begin!! !